Have you ever noticed the similarity between Conan the Barbarian and Mattel's He-Man from Masters of the Universe? Well apparently the rights holders to Conan sued Mattel in the 80's, claiming that He-Man was in fact a copy of their character. Mattel won of course and so He-Man endured, going on to become one of the great media franchises of the 80's. Not to upset Conan (who would!? ), but here at Retro Styler we're kinda glad, as MOTU (Masters of the Universe) was one of our favourite cartoons as a kid and the action figures were pretty awesome too! 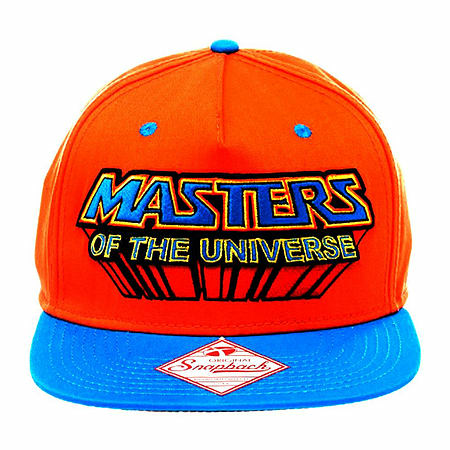 Now we're a little old to be playing with plastic He-Man action figures, but that doesn't mean we can't add a touch of retro style to our ensemble with some sweet He-Man Merch, such as this Masters of the Universe Logo Snapback Cap. 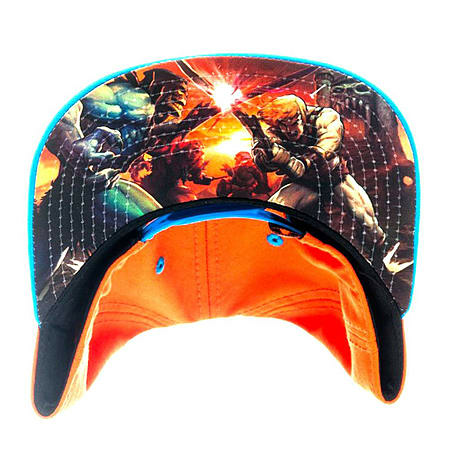 This colourful He-Man Snapback features a traditional 'MASTERS OF THE UNIVERSE' logo embroidered on the front, and stunning artwork on the base of the visor, with He-Man and Skeletor battling in out in front of Castle Grayskull. 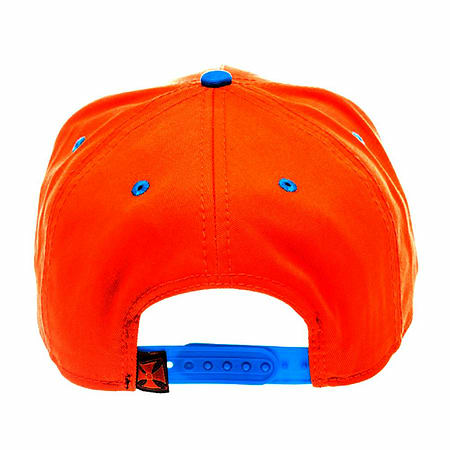 The hat has six eyelets/ airholes plus a classic adjustable snapback strap for comfort and fit. Say it with us - By the power of greyskull!